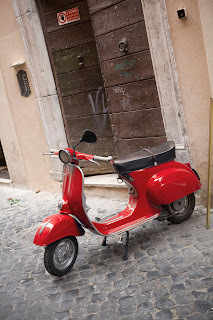 There was a man standing quite close to the vespa, and there was also a pole leaning on the wall next to the vespa. 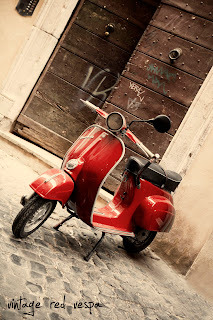 I decided that neither of these elements added to the scene I wanted to capture so I moved around the vespa to see if I could shoot at an angle or distance that would eliminate them from the scene. Unfortunately, given the view and perspective I wanted, it wasn't possible. I also knew that removing a man's leg and/or pole was a very quick and easy exercise in photoshop so in this case I decided it was worth shooting. I shot three images of this scene. The first, as I find is often the way, was the best. 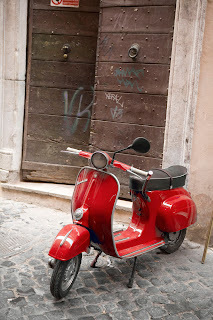 It is the one I have chosen for the Capture Italy website gallery. It has clear diagonal lines and good context. This is it below, before photoshop post-production. Unwanted people and items in backgrounds are a common challenge you face when shooting street scenes. You can choose to include them to add interest to the scene (in this case neither the man nor the pole added to what I was trying to achieve - if the man had been a typical old Italian man, and the pole had been his walking stick, perhaps they might have been worth including); or you can attempt to shoot so as to exclude them. This means you need to walk around your object and shoot from different angles/perspectives. Your last resort is to rely on photoshop. I used the clone tool to remove the pole and leg, I applied a layers level and a filter from Alien Skin Exposure 2 filter software for the vintage yellowing effect. 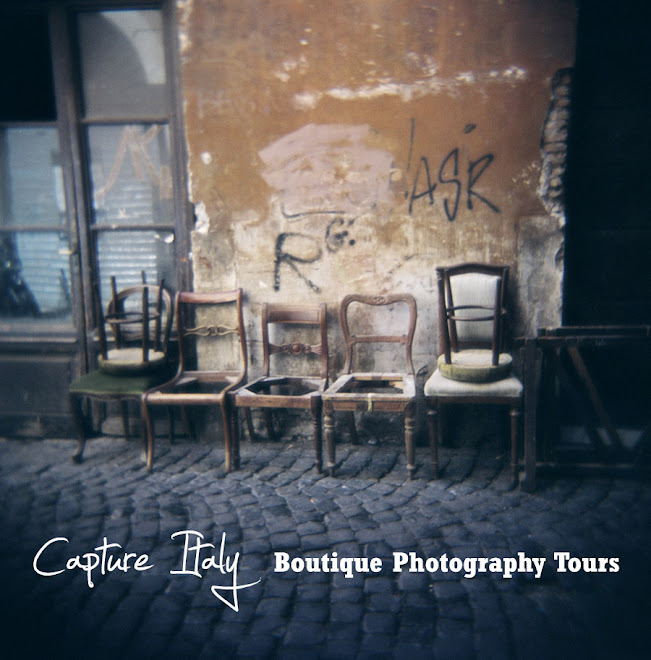 Happy shooting, from Lisa and Dianne at Capture Italy. Join us as we showcase some of our favourite (and not so favourite!) images that we've taken in Italy. By sharing the stories behind these images we hope you can improve your own travel photography. Happy Shooting from Lisa and Dianne!